This one covers Mikami Ruka. Start with the main route to best understand the story. At 5:30 AM, Aika finds Ruka doing vocal exercises in the rehearsal room. He says training every day is important. Aika says he really loves singing. Singing is when he’s happiest, how about her? Aika doesn’t know how to respond. He doesn’t pressure her since he’s been confused before. She’s surprised. Ruka replies happiness is different for everyone, so his form of happiness may seem like unhappiness to others. He still wants to be honest to his feelings. That’s why she shouldn’t go easy because he’s going to change with Re;Rise. Ruka tells her to get some sleep because “Aika-kun” is necessary for Re;Rise. Aika is not “Amane Aika” but rehearses anyways. Aika goes to tell Ruka about the event. She ends up bumping into him, and he whispers an apology. He goes back to normal when he realizes it’s Aika. Aika knows he only smiles like this for her because he thinks she’s a guy. Aika tells him about the event. They thank each other for all their hard work. He’s noticed Aika has seemed a bit differently lately, but she’s helping him change. More serious, he says he wants to change, and her voice is necessary. Aika doesn’t think her voice is such a big deal, but he won’t let her run away. He pulls her and then they accidentally kiss. Aika apologizes. Ruka thinks it’s fine because they’re bros and strangely enjoyed kissing her. Then he asks if a girl Aika would like his type. Aika can’t make sense of his thoughts. (For the full scene, go here.) Aika goes back to work. Aika, Reo, Ruka, and Seiya are going to perform together at the cafe, and the other two are going to do a song as well. Seiya tells her she needs to set an example for Re;Rise’s success. So she should just consider this a test for her “real secret”. Reo tells her to not be nervous but to guide them as their leader. Ruka is afraid of girls as usual but Aika encourages him. Later that day, she decides to see Ruka. He’s rehearsing even though it’s his day off. They decide to practice together. He likes singing with her and highly praises her, saying she delivers love to everyone. He’s so good she doesn’t know how to help him. Ruka then suggests ending for the day since Aika’s body is at its limits. Ruka gives Aika his towel to wipe off sweat, adding it should be fine since they’re bros. She notices he’s nowhere near as sweaty. She then asks him if he’d have the same attitude toward a girl. He apologizes for the trouble he’s caused. He doesn’t want to be kicked out of an agency again. Talking about singing is fun, too. He picks her up to carry her to her room. Ruka remarks it’s cute how she’s flustered like a girl. In the midst of her panic, she realizes something: does he think girls are cute even though he’s afraid of them? He’s surprised and doesn’t really know. Girls usually look like animals to him. But she’s cute, so maybe he’s strange, tee hee. Aika can’t keep up with his airheadedness. After the Seiya incident, she heads to look for Ruka. Ruka is rehearsing as always. She mentions again he loves singing. He thinks he, Seiya, and Aika can convince the others. This is the first group he’s been able to face the audience with. Ruka asks why does Aika go so far for Re;Rise. She loves the group her bro– er, she’s in. Music is like a type of magic after all. An idol is like a magician, so he wants to be one like… Ruka then suddenly asks what she would wish for if she could use magic. As Aika thinks, Ruka declares he’ll make her wish come true. He’ll listen to her heart to find out her wish. Panicking, Aika doesn’t believe in magic but — just in case — she still has something to hide. He was just joking. She can’t get mad when he has such a sparkling smile. She adds his smile is dangerously close to being magic, and he chuckles. At the cafe, Aika decides to help Ruka, but she doesn’t see him inside the shop. She finds him in the street around the corner, but he goes pale. Aika thinks the only way to prove it’s her is by kissing him. Afterwards, he goes silent and the air around him seems to change. Suddenly, he talks about kissing more and deeper with Aika. She panics, but Ruka reveals he was just repeating lines from a movie he saw. (For the full scene, go here.) Aika still thinks his payback was a little extreme. 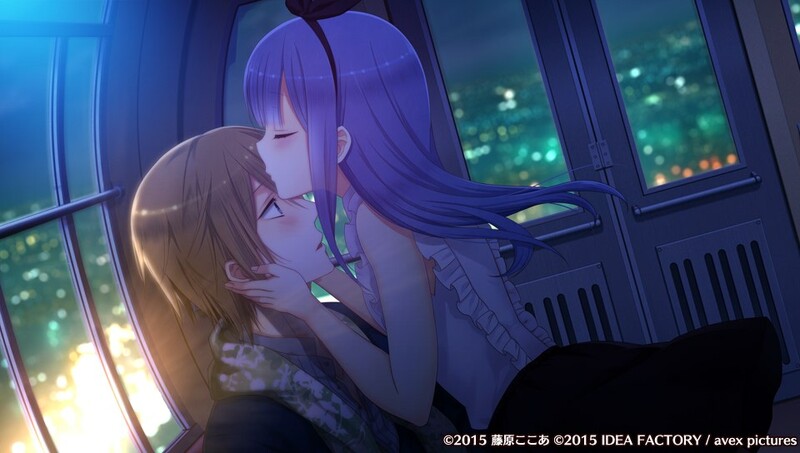 Ruka didn’t mind kissing her since she’s an important member of Re;Rise. He thinks of her like that, but she’s just a substitute. Ruka was scared when he thought it was a girl. Aika hesitantly asks Ruka what if she was a girl. He airily answers he’d probably hate her. It’s a silly question since she’s a guy. Aika quickly excuses herself. Aika’s chest hurts from lying to Ruka. She has to forget being a woman to stay by his side. Back at the cafe, Aika knows she can’t have her heart pounding like this. She needs to be more of a guy, more of an idol, completely “Amane Aika”. A couple of fans compliment Aika on the event and how they’ll support Re;Rise. Aika is pleased, but the others notice she’s not her usual self. Aika vaguely hears her name being called. Is she dreaming? Ruka calls her a sleepyhead; the birds are already up. Her bed seems heavy. Ruka adds her sleeping face is even cuter than Reo’s. He came to pick her up since they’re going to be partnered for the month. She remembers Yonezawa telling her to help with Ruka’s girl problem. But how is she supposed to cure him? 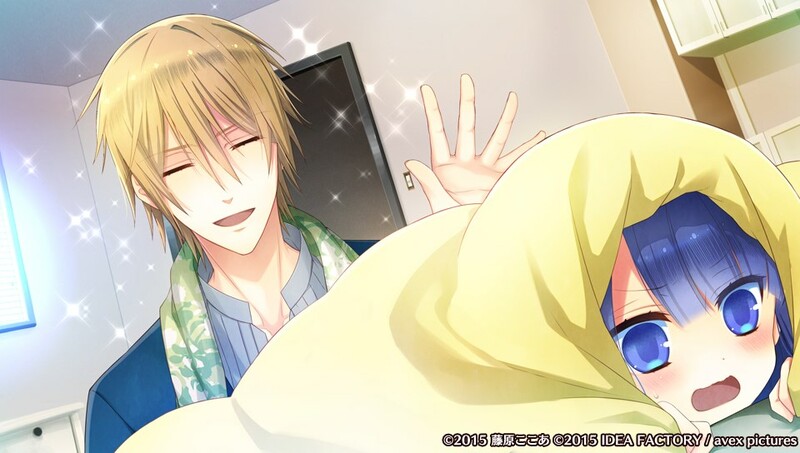 Ruka offers to fix her bedhead, but he’s joking since he knows Aika doesn’t like people getting physically close. He shakes her hand as a sign of their partnership. Aika asks him to go so she can change. He thinks it should be fine but leaves. Now Aika has to work even harder to keep her secret. At breakfast, Reo and Ruka discuss the schedules and trying to work together when they can. Tsubasa is having none of this “friendship play”. Tsubasa gets close to Aika and basically says her as a sacrifice would be better than the tomato juice he’s drinking. Seiya comes in with a new song for Aika to sing, but Itsuki sneaks up and says to give her a break. Ruka volunteers to listen to the song and gets everyone else to agree to go later. Ruka really thinks about everyone. Ruka interrupts Aika’s thoughts since was staring. He offers his help if she has any worries. Suddenly, Ruka gets close and asks Aika if they’ve met before. Aika replies no. When they met for Re:Rise, Ruka had the feeling they met before. He stares, but then they have to go to the radio station. As they leave, Itsuki shouts he wants to be punished by Aika. Ruka barges into Aika’s room on another morning. She’s already dressed. He acts almost motherly toward her. Aika thinks she has to do better as the leader. Aika is back at the house. She called Yonezawa earlier about Ruka’s current status. Ruka is cowering in the corner of the rehearsal room. He knows it was bad he ran away again. He couldn’t handle suddenly running into girls; at the cafe, he could prepare himself. He’s afraid of their affections, saying like and cruelty are similar. Aika asks what he means. He’s silent then asks about the fans. More determined, he suddenly wants to practice with Aika. He doesn’t fully understand why but knows she’s always seems to be the source. Aika asks for clarification, but he thinks he’ll know the reason if they sing together. Aika finally agrees, and he smiles. Aika again notes he loves to sing. He offers to give her pointers. 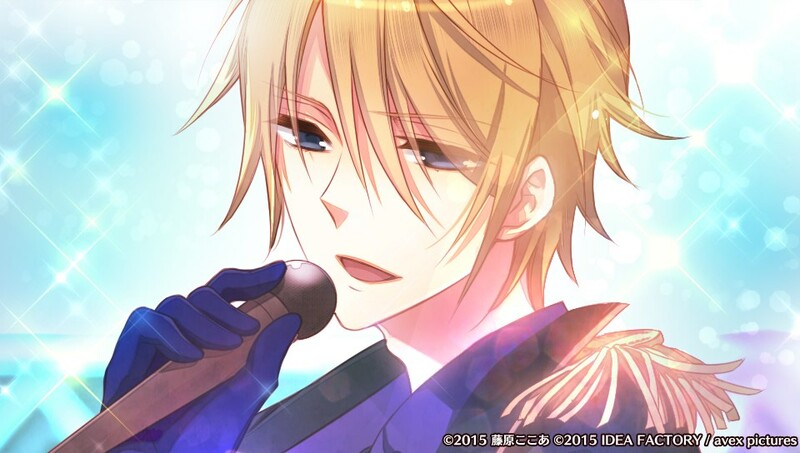 Aika thinks to herself she could always look at the sparkling Ruka when he’s singing. Ruka admits he can’t really teach her about singing through a lecture. So she requests Ruka sing so she can watch. He dazzles her, and it reminds her of Manaka. She applauds. He blushes and smiles in happiness. Aika then gets mad about how it’s a waste for fans not to see this type of Ruka. She’ll work with him so he can perform as well in front of girls. Aika sings next. Ruka is amazed. She’s always good but today was even better. He really does need her voice and wants to hear more of it. Then he adds Aika really loves singing. She thinks to herself she’s never thought about it. He notices her voice is unstable sometimes. She’s trying to sing like her brother, so she’s not yet “Amane Aika”. She tries some vocal exercises as her brother but ends up coughing. As he makes sure she’s okay, he gets serious again and remarks her hands and shoulders are small. She pushes him just as he remarks she’s like a girl. They wrap things up for Aika’s health. Ruka is going to practice some more alone. He wonders aloud to himself about how he didn’t realize how small Aika is yet is trying so hard as the leader. He’s doesn’t know anything about anyone. He must do better. Aika decides to call Nami for advice. Aika wakes up at 4 AM. Before she goes back to sleep, she puts on her wig. Sleeping, Aika hears Ruka urging her awake. “Hey, wake up. If you aren’t, then can I mess with you?” Aika snaps awake. He muses as he leans in close and says he wants to know more about her. Aika notices it’s 4:30, so she’s glad she woke up earlier. He really wants to introduce her to someone. He leaves. Aika just can’t figure him out. They head to the park. Ruka says he’s going to introduce her to some “cute angels”. 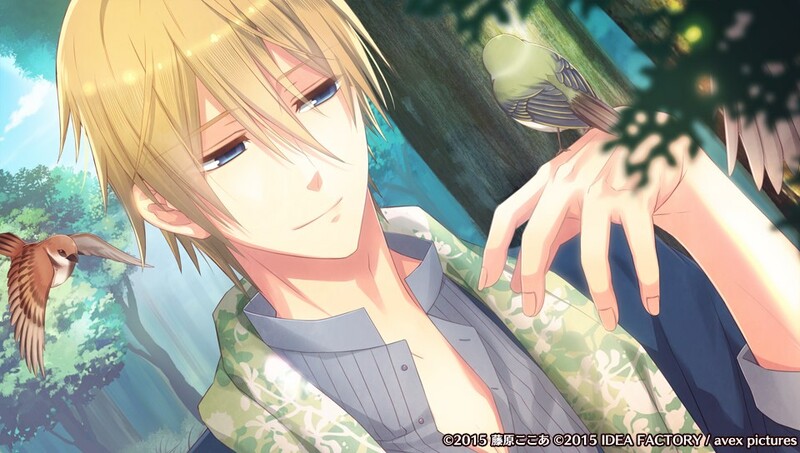 He talks to three birds and introduces them to Aika. They chirp back at him as if they can understand him. Ruka says he speaks bird. The birds usually flee from people, but they accept him as one of their own. Since they didn’t run away from Aika, they must realize Aika is important to Ruka. He met the birds when he came here to sing. He had no friends when he was young except for visting birds. Aika feels bad, but Ruka says he’s happy now. The two are both glad to have met. Ruka sings with the birds. Aika joins in. A few days later, girls are gathered outside the studio. Ruka is panicking and then runs away. She chases him to the park. He apologizes, but she tells him they’ll try again more slowly. She remembers Nami’s advice. Nami was shocked to hear an idol is afraid of girls. She suggested they hang around a busy area and watch people, teaching him slowly like getting over a fear of dogs. Ruka is still afraid at the sight of girls. Aika isn’t angry, but she asks how did Ruka manage up to now. All the people who worked at his house were male, and he didn’t go out much. Aika wonders if he’s a rich kid. Ruka is depressed. Even though he loves to get up on stage and sing, he was kicked out of his previous agency for being scared of girls. He wants others to hear his song, so he decides to try again. Ruka believes he’ll be fine with Aika beside him. Back in the street, another girl is walking by. Ruka pales and mutters to himself. But he watched her without running away. They’re both proud. Ruka looks around and is surprised that there’s a lot of girls but no fighting. Aika is confused but reassures him all girls aren’t scary. He thought girls did nothing but fight. He shakes her hand for helping him realize this. Aika has no idea how he came to his conclusion. Ecstatic, he gets close to her and requests they train again. She’s fine with that but wants him to back up. He laughs; they’re bros! “And besides, the birdies told me I’m destined to fall in love with a girl who’s close to me.” Aika sidesteps the statement. Ruka is beaming. It’s a small step forward. A few days later, Aika decides it’s time for Ruka to connect with (touch) girls. Aika meets up with Ruka in the street. He’s still shaking, but he gives credit to Aika for his progress. She replies this is what friends do. Ruka, in a more serious tone, says he wants to be connected more to Aika. She blushes. Ruka adds they’re just friends and group members. Suddenly, a fan comes up to them, and Ruka panics. She approaches him for a handshake or picture. Aika decides to just watch. Ruka stammers and then writes “I’m sorry” on a sheet of paper. The fan is offended. Aika tries to explain, but the lady storms off. A depressed Ruka apologizes. She encourages him. She’s so kind. Aika suggests they go back home. Almost crying, he begs Aika not to leave him. She’ll always be on his side. A bit more cheerful, he asks if they can hold hands on the way back. She worries about a scandal, but decides to treat it as Ruka’s reward. Surely he’ll succeed next time. When they get back, an upset Yonezawa is waiting for them. Re;Rise as well as a bunch of unfamiliar faces are waiting in the living room. Reo shows Ruka and Aika an online article calling for a boycott of Re;Rise’s tickets due to the members’ bad attitudes. Seiya and Tsubasa wonder if they’re the cause. But something must been the trigger to bring up events from long ago. Aika and Ruka realize it was probably the girl from earlier. Yonezawa stresses. Seiya and Tsubasa snipe as Reo scolds them. Itsuki explains the people here were supposed to have a staff meeting about the upcoming live. Ruka continues blaming himself. Aika yells loudly at everyone to knock it off. Aika suggests Seiya and Tsubasa go back to the cafe to show customers how serious they are. Itsuki and Reo will do a charity event to widen Re;Rise’s appeal. She and Ruka will hand out flowers about the live and also work on dealing with girls. Everyone praises her handling of the situation as the leader. They’re fired up now. She and Ruka get started right away. Aika and Ruka get ready to pass out 100 flyers she designed. Ruka is still apprehensive about approaching girls. Ruka mumbles as he hands out flyers to a couple of girls. One looks interested, but the other is about to recall something she read recently online… Ruka quickly interrupts and says he’ll do his best. The fan realizes he’s nervous and but will support him. He squeaks out a reply. Aika compliments him, but he freaks out, thinking it’s another girl. Aika is about to ask how Ruka got to be the way he is when an Aika fan approaches. Aika ends up charming her (although she doesn’t realize). Ruka suddenly reappears. “So cool! You’re so cool, Aika-kun!” Aika doesn’t think she did anything special. Ruka wants to be as natural as she is, leaving Aika a little embarrassed. The bashful Aika is cute. He asks how Aika can be so kind to girls. She tries to think how sad it would be to have someone you love hate you. Ruka then asks if Aika has someone she loves. She starts to say her brother but quickly says she means an idol she admires. Does Ruka have someone like that? Aika suggests popular idol Kagura Mitsuke. Ruka jumps. He quickly replies Kagura’s cool. Aika notices he seems to be trembling. Ruka’s phone rings. Aika is about to give him some space when she sees the painful look on Ruka’s face. It’s his father, Kagura Mitsuke. Kagura has heard from someone that Ruka is still afraid of girls; he can’t give love to his fans when he’s like that. Having a lot of women worship him is something normal people wouldn’t get. Ruka mumbles it’s impossible. Kagura adds he’s coming to the live…unless “they” get kicked out. Ruka doesn’t understand, but Kagura hangs up. Aika wonders if something happened between them. Ruka wants more copies, but they haven’t gone through half. He wants to get over his fear even one day sooner. It’s unusual for Ruka to be this serious. She didn’t hear their conversation but knows his dad inspired him. Ruka passes out a couple more flyers. He stammers a quiet response and keeps it up until they leave. It’s progress, but Ruka wants to be more like Aika. He mumbles he has no time and adds he wants Aika to teach him more about girls. The expression on his face makes her agree. He’s going to do his best passing out the flyers. Aika wonders what kind of person his father is. Yonezawa is at home. Everyone’s job went smoothly. Things are settling down, and preparations are proceeding for the live. Before he leaves, Yonezawa gives Aika the credit; everyone agrees in their unique ways. Aika asks how the heck Itsuki and Tsubasa are viewing her. “Master.” “Sacrifice.” Ruka also chimes in with how Aika is the best leader. Hearing this warms Aika’s heart. He whispers the birds advised him to get a best friend, and Ruka wants Aika. Aika is a bit confused, but he takes it as confirmation they’re best friends now. Tsubasa and Seiya grimace. 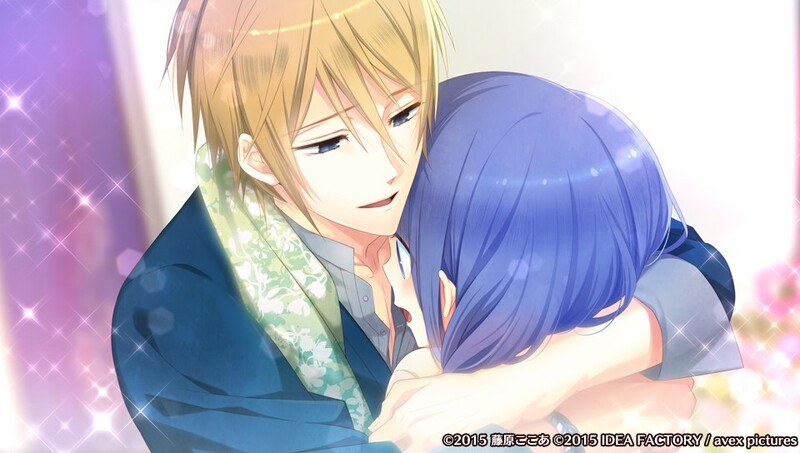 Ruka replies he loves Aika — as bros. Tsubasa is still claiming Aika is his sacrifice. Ruka doesn’t get why Tsubasa is upset. Aika tells them all to knock it off. Itsuki mumbles Ruka is finally realizing the appeal of Aika’s true identity. Aika hears him and wonders what he means. Itsuki announces Yonezawa is letting them all have a day off tomorrow. They each start making their own plans. Aika decides to visit Nami. Smiling, he tells her to have fun but is a bit jealous she has other friends. Aika and Nami plan to meet up. Aika wakes up before her alarm goes off. Aika around the house as a boy, but seeing it’s safe, changes into girl’s clothes. Ruka is napping in the kitchen, and Aika accidentally wakes him up. He recognizes her as Aika-kun. She panics. He wonders if she’s a cross-dresser, and she agrees. She tries to leave, but he he looks at her more closely. “…No, it’s more like….are you really a girl?” Aika goes to escape. He stops her. “Amazing, Aika-kun! No, since you’re a girl, Aika-san…? No, perhaps Aika-chan might be better?” Aika is like, “What and rude!” Ruka proudly announces he’s not afraid of her; he talked to a girl normally! Aika is conflicted; she’s happy but worried about the other members. She is about to try to lie her way out when Ruka makes a request. Aika promised him to teach him about girls, so they should kiss! He’s still smiling innocently. He got the idea from TV yesterday about how people afraid of dogs would hug them. So perhaps kissing would help him. “Hey, please. Kiss me.” Aika protests. Does she not want to kiss him? Or perhaps Aika really wants to be a guy? No! So there’s no problem. He won’t move until he gets his kiss, so she finally relents. Ruka is amazed. He’s fine after kissing a girl! He smiles; he might fall in love with Aika. She’s not sure how to take that, but Ruka continues talking about how amazing she is. Ruka notices her face is red and wonders if she has a fever. She says she has to go, and Ruka cheerfully sends her off, letting her know to contact him if she meets any weirdos. As Aika meets up with Nami, Nami notices Aika’s face is red. She blames it on running here. Aika starts to say something but suggests they go out to eat instead. Aika just doesn’t know what to tell Nami about what happened, so she says nothing. Boy Aika returns. Ruka is waiting for her. He’s acting normal, but Aika is avoiding his gaze. Ruka then suggests keeping everything a secret. He’s really happy to have a good friend, and a girl one at that. Surely if they deepen their friendship, he won’t be afraid of other girls. Aika remembers that’s the only reason they kissed and shouldn’t read too deeply into his words. They’re just friends. At dinner, Aika feels like Ruka keeps looking at her and smiling. Aika still feels Ruka’s gaze and wonders why it’s bothering her. They’re friends. Itsuki notices Aika has some food on her face, but Ruka jumps in and wipes it off before Itsuki can. Ruka smiles and says Aika is special. Aika quickly excuses herself. Itsuki makes pointed comments to Ruka. My dame was particularly charming this morning, as if hiding a maiden’s heart. Itsuki adds he knows everything about his beloved master. Everything. He adds he hopes Ruka gets over his phobia soon and then also excuses himself. Ruka doesn’t understand Itsuki’s words at all. But Aika was definitely cute earlier. Then Ruka realizes Itsuki left early this morning; he shouldn’t have seen Aika in women’s clothes. Itsuki surely wasn’t told the truth. Ruka can’t figure things out, so he goes to bed. Aika and Ruka are back handing out flyers. He’s not afraid of Aika, but he can’t quite figure out what’s off. Aika doesn’t want to dwell on it too much. If Ruka’s phobia is cured, then her brother will surely return. They finish up their job since they are being interviewed tomorrow. Ruka won’t run away even if the interviewer is a woman. Yonezawa also said there’s a surprise guest. Aika then finds a voicemail from Manaka. He tells her not to go to the interview tomorrow. He can’t tell her more, but he begs her not to meet with that person. Aika doesn’t know who “that person” is or how Manaka knew about the interview. Ruka notices the look on her face, but she insists she’s fine. Ruka doesn’t know anything about Manaka, so she can’t talk to him about the call. In her room, Aika struggles with what to do. Ruka knocks and enters. He brought some chicken skin to help cheer her up. Aika is a little taken aback because birds are Ruka’s friends. Now Ruka wants to feed her. She protests but relents. Ruka also wants to be fed. Ruka states it’s much more delicious than normal because she’s feeding him and the secret ingredient is love, fufu. Then he thinks Aika’s embarrassed face is cute. She really has no idea if he’s messing with her or not. Ruka insists on feeding her some more. Aika and Ruka are at the studio for the interview. It’s quite packed since there’s an audition today. Reo is participating. They’re both a little nervous about the interview. Suddenly, they hear other actors talking negatively about Reo. As much as Aika wants to get confront the guys, she doesn’t because she’s afraid of more trouble. They continue, and Aika snaps. Reo appears. He calmly but firmly explains he’s a nekomimi idol but isn’t ashamed because fans love him. He failed but will do better next time. Ability is all that matters in this world. The guys leave. 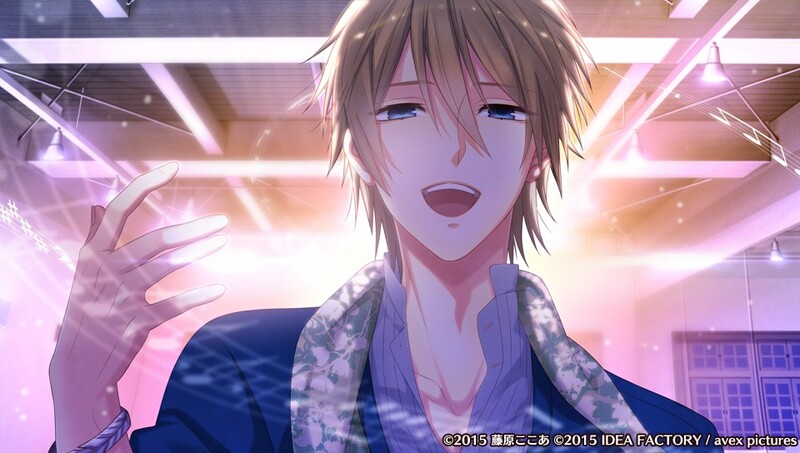 Reo apologizes but smiles since it’s his fault for failing. Ruka tells Reo not to hold back. Ruka gives an inspirational speech. Ruka wants Reo — and the others — to share how they truly feel. He didn’t notice something important about Aika, so that makes him a failure. Ruka isn’t going to repeat that mistake and insists on being relied on more. Reo goes tsundere and then leaves. Aika mentions she was a bit surprised by Ruka’s words. He laughs, but then gets depressed because he still feels unreliable. Aika tries to cheer him up. “As I thought, Aika-kun is really reliable.” He was afraid of girls but only ran away. Aika was afraid but still confronted those guys. He really respects her. “No, it’s probably not just respect. I…” He gazes at Aika. He suddenly wants to kiss her right now. She wants him to let go, but he won’t until they kiss. He urges her to hurry up since he can’t hold back anymore. She doesn’t understand her own feelings. She kisses him. He understands. “I fell in love with Aika-kun.” Aika is stunned, especially since he says it so matter-of-factly and suddenly. Aika thinks he’s just confused, but he’s sure Aika is special to him. He asks if Aika will believe him if he shows Aika he’s not just attaching himself to the first girl he’s interacting with. Aika doesn’t know how to respond. He apologizes for pressuring her but is serious. But it’s time for work. In the room, Kagura Mitsuke is waiting. She wonders why such a big idol wants to talk to a newbie group. Aika gets her answer when Ruka calls him “dad”. Kagura’s female manager goes to leave, and Ruka freaks out at seeing a woman. His dad sighs. Kagura explains to Aika fans want to see an idol with a girl; this makes them look gentler, protective, and cool, and this makes performances better. Ruka looks troubled, but Kagura doesn’t care if it’s unrequited love or whatever, but Ruka needs love. Otherwise, why did he become an idol? Ruka replies he just loves singing and can give his fans encouragement. Kagura dismisses this. Of course Ruka doesn’t have to be with that woman forever; only remain dedicated to the fans. Ruka gets upset. Kagura replies he puts his feelings for Ruka’s mother as well as all the other women he’s loved into his songs to make him the artist he is. Ruka yells he doesn’t understand; women are scary and were always fighting over Kagura. Kagura repeats his order. He talks about how he plans to see the live and about Yonezawa begging him to give Re;Rise a chance. Suddenly, Kagura turns to Aika and mentions he’s suprised at how much she resembles someone. Aika is confused. Ruka suddenly asks if Kagura means “that” and wants to know now instead of waiting until he’s 20. Kagura brushes his son off and says it’s time for work. Ruka looks depressed and distracted during the interview. His inspiration is Kagura Mitsuke. Kagura thinks Ruka is still unpolished but has great potential with this group. After the interview, a sad Ruka sends Aika home first. He has to check something. Aika wakes up at 5 AM. She hurries since she and Ruka have a radio show this morning. It’s unusual Ruka didn’t come in, so she decides to see if he’s still asleep. Ruka avoids joining Aika for breakfast. Neither Aika nor Reo can figure out what’s with him. At the station, Ruka is distracted. Aika gets them a break and pulls Ruka into another room. Ruka is trembling, afraid. Aika wants an explanation. They’re friends. Ruka mumbles he’s not sure if that’s good or not. He then hands Aika a notebook belonging from his family’s house. Inside, there’s a woman who looks like Aika with Kagura. Ruka always felt like he met her before, and he finally remembered this picture. His father and her mother were once a couple, so they might be siblings. Ruka doesn’t know anything about his mother, so he thinks Aika’s mother might be his mom. He can’t believe this is happening, but everything makes sense. Aika tells him to settle down. He talks about how much she means to him. He finally started to understand his father’s words, but to be siblings! Before Aika can speak, he runs off. Aika looks at the picture and remembers Kagura’s words. She has to talk to Ruka after the radio show. Ruka doesn’t seem to want to talk. But she believes this is all a big misunderstanding. Back home, Ruka runs away from Aika again. Aika is hurt and feels lonely. Tsubasa appears. He knows something happened between her and Ruka. He invites her for “pillow talk” anytime. He vanishes, and she wonders if he was worried about her. She can’t talk to anyone when she doesn’t understand her own feelings. It’s different than being friends with Nami. Itsuki is in the kitchen making Aika’s favorite dish because he noticed she’s been tired recently. She’s touched. Ruka comes in and immediately leaves when he sees Aika. Aika is so depressed she heads back to her room. Reo and Itsuki discuss how watching them and not being able to help is hard. Seiya is completely lost. Aika wants to talk to Ruka. They’re friends…no, he’s a dear person to her. Nami calls and senses something’s wrong. Aika lies and says she’s just tired. She tells Aika to call anytime. Aika wants to talk with Ruka like this. She decides to go back to her house on her next day off to see if she can find anything. Aika went home on her day off. Ruka hasn’t been barging in on her in the mornings and does his lessons alone. She wants to sing with him again. Aika ends up doing lessons with tsundere Seiya and Tsubasa (who only agrees for the sake of his “bride”). Ruka comes in but declines once he hears Aika is participating. Even Seiya is starting to notice Ruka’s strange behavior. Ruka sighs. Itsuki knows Ruka ran away from Aika again. Itsuki notes Ruka’s problem isn’t solved since he still shivers around Aika. 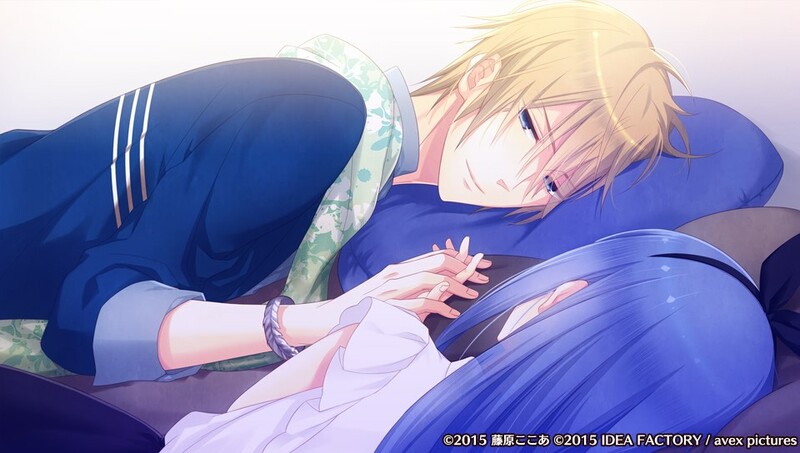 Ruka asks if Itsuki knows about “that”, but Itsuki neither confirms nor denies; he only wants my dame to be happy. Ruka says his love for Aika would never be forgiven. Itsuki points out Ruka doesn’t truly want to be apart from her, and only Ruka can make Aika smile. 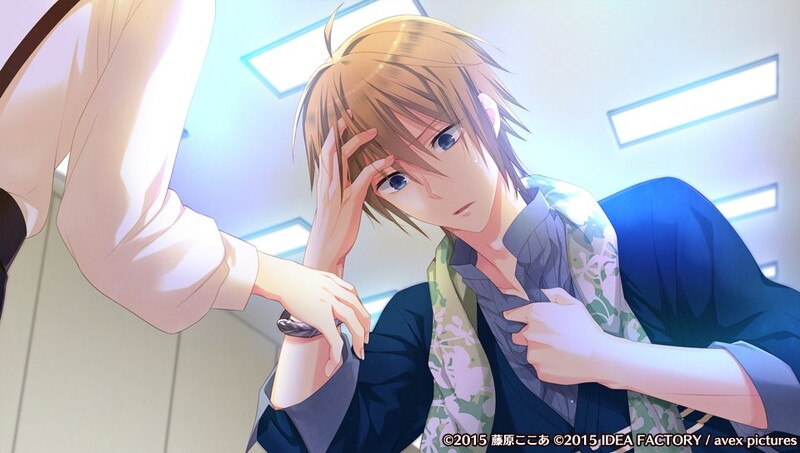 As Itsuki leaves, Ruka realizes he’s not the only one suffering from being apart. But he still doesn’t know what to do. Sitting down for some coffee, Ruka asks if Reo has someone important to him. He doesn’t. Ruka tells him he found someone but has hurt that person and now doesn’t know what to do as an idol. Reo bluntly asks for whose sake did Ruka become an idol. Ruka just wanted people to hear his song. Reo replies Ruka should just sing and not worry about other people. In love and in singing, Ruka should just follow his heart. Ruka cheers up and calls his senpai cool while Reo goes tsundere. As Reo leaves, Ruka vows to himself to stop running from everything. The day of the live approaches. Yonezawa wants Re;Rise to fill in at an amusement park event. Seiya and Tsubasa are a little upset it’s not a full live, but Reo reminds them work is work. Yonezawa tells Tsubasa not to make kids cry, but Tsubasa says kids just feel the DARK FORCES and start to cry. Itsuki and Ruka look forward to it. Aika realizes the live is approaching and wants to talk with Ruka before then. Yonezawa apologizes. The original group is going to appear after all, so Re;Rise isn’t going to perform. He gives them the day off. Ruka and Seiya are depressed, but Reo suggests they enjoy the park. Tsubasa is interested seeing how the beings of the human realm play. Itsuki snarks Tsubasa doesn’t suit an amusement park, but he’s fine with relaxing. The others agree. Itsuki wants to go on the merry-go-round with Aika with him as the horse and her as the rider. Tsubasa invites Aika to the “midnight castle” and looks confused when she rejects him and says that’s just the haunted house attraction. Seiya wants to take a picture with a bear mascot, although he denies it, but he goes up to it. Ruka invites Aika to catch up together, and Aika is glad they’re talking again. Reo and Itsuki note they seem to be friends again. Tsubasa thinks friends are ridiculous and declares he’ll make Aika his as he and Itsuki squabble. Seiya urges Aika and Ruka to get closer together as he takes a picture. Girls come up and recognize them as Re;Rise and wants to take a picture. Itsuki suddenly comes out of nowhere and invites the fan to take a picture with him. He lures them all away, and Aika briefly wonders if he did so on purpose. Seiya runs off. Ruka grabs Aika’s hand and says it’s crowded. Aika can’t meet his gaze. A young girl crashes into Ruka, but he just smiles and apologizes. Aika is amazed; is his phobia cured? Ruka suddenly says they have good friends since everyone was worried about them. He apologizes for running away. Both are pretty quiet. Ruka goes to get some ice cream. Tsubasa suddenly appears and whispers in her ear to talk to Ruka. He goes back to his usual self and says he won’t allow his sacrifice to talk to another man, but today is special. He then disappears, confusing Aika. Night falls. Everyone talks about the day. They notice the ferris wheel light up. Reo is fascinated by it. Itsuki says it’s only for couples. They others say it’s fine. Itsuki gives her a pair for her and Ruka and pushes them on it. The two are quiet in the carriage. Aika remembers Tsubasa’s words. Before she speaks, Ruka starts talking. 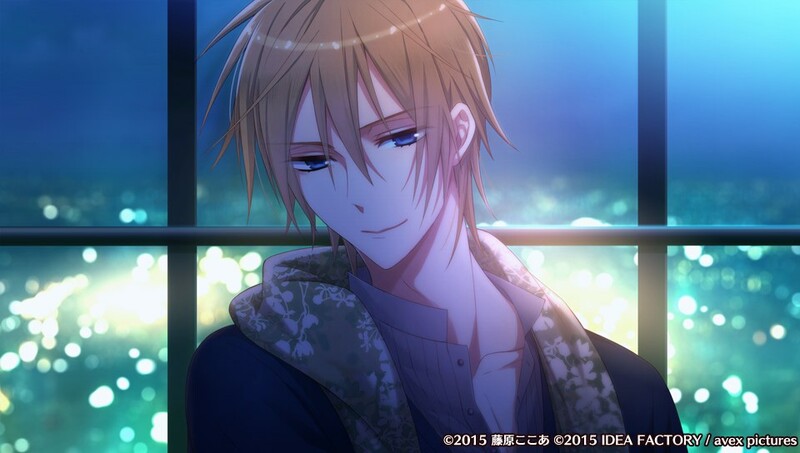 He mentions how he didn’t know how to approach her until Itsuki and the others pushed him. Aika shows him her mother’s memo. Based on the birth year, the two can’t be siblings because Ruka is a year older than the date. Aika thinks to herself how Manaka is 18 while she’s 17. Kagura and Aika’s mom had dated when they were in school, but they broke up. Then Aika’s parents met, married, and had Aika. Ruka process all the information. He doesn’t understand why his dad would have an ex-girlfriend’s journal, but he and Aika aren’t siblings. He’s so relieved. He loves Aika. He panicked so much but wants to hear her response now. Aika asks if she’s really good enough. He loves his fans but wants to sing because he feels like singing. Ruka continues telling her how he feels. He finally understand his father’s words. His world changed because he fell in love and now can give his fans that feeling — like magic — thanks to her. She’s the best magician. 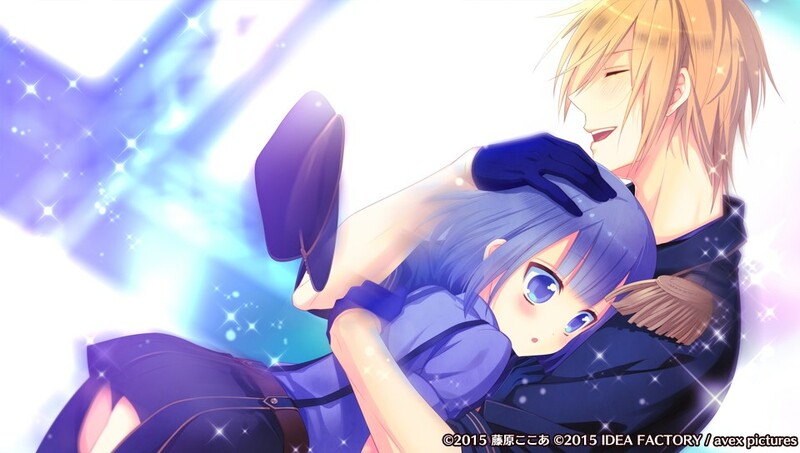 “I love you…’Aika’.” Before Aika responds, the ride is about to come to an end. He’ll wait for her response. Aika wonders why she couldn’t say anything. She loves Ruka so much and asks God for a little courage after the live. It’s the day of the live. Aika chats with a staff member about the live. The group gives Aika credit and look out at the large crowd. Seiya and Aika are nervous. Ruka says he’s a little afraid of the girls but will be fine. The group talks about how this is the rerise of Re;Rise. Ruka senses even Tsubasa is pumped up, making Tsubasa blush. The live is about to start. Re;Rise greets the audience. Seiya is still nervous. Ruka’s intro is perfect and full of confidence. Fans love it while Aika is surprised. Ruka tells Aika he can do anything since she’s his only magician. Aika backs up Ruka during his solo song. The others are impressed with Aika’s performance. Ruka is estactic; it has to be her, his destined one! Aika can see how happily he sings. He’s a true idol. Ruka grabs her hand and mentions he’s so glad to be able to sing with her. Everyone performs. Aika knows this is the end of her as a member of Re;Rise. Suddenly, Manaka comes up to her backstage. He’s surprised at how much they’ve changed. He can’t tell her why he left. She asks about the call about the interview. He can’t tell her anything about Kagura. Maybe someday. Aika is upset. Manaka tells her she was wonderful on stage. He always thought she was more suited to be an idol rather than him. He’s quitting; he loves singing but is at his limits. Besides, he has a mission to search for something, and that’s more important than anything else. He’s leaving “Amane Aika” to her, and Aika can continue or quit. She will continue as an idol. She originally did it just to replace Manaka, but she loves the group and wants to sing with them more. He has one more person he wants to talk to. He pulls her. Aika will quit because she has her own dream. Manaka asks her if she’ll have any regrets. Aika replies no but adds she had fun. Ruka, searching for Aika, comes up and is surprised to see someone looking like Aika. Manaka introduces himself. Aika is surprised, but Manaka wants only him to know the truth. Ruka states “Aika-kun is Aika-kun” and will continue to be members together. Aika interrupts with the news she’s quitting. Ruka then cheerfully replies, “Then, let’s be normal lovers from now on.” The siblings are shocked. Ruka wants to be with her, idol or not. Aika also wants to be with Ruka forever. He’s so relieved he didn’t get dumped. Ruka asks for her real name and her favorite things. He doesn’t know anything about the normal girl her, so he wants to know more. Manaka asks Ruka to take care of his sister. Manaka will meet with Aika again someday. He leaves. Ruka reminds the lonely Aika he’s still here. He wants to hug her, but she warns him about being spotted. Ruka suggests they meet his father next. Aika says it’s a bit fast and thinks to herself she wants to look like a girl for such an event. Still, Ruka wants to introduce her right now. Aika thinks back upon all their happy times. Aika keeps in contact with her brother. Aika is half-asleep as someone tells her to get up, the birds are already awake. “Well, if I do this, will you wake up?” She gets kissed. Aika’s eyes fly open and Ruka tells her good morning. Aika can’t believe he just did that, but he saw lovers doing that in a foreign film. The other members don’t know they’re going out but Yonezawa does. Ruka tells her her hair smells nice. He asks if he’s not good at being in a relationship, but Aika thinks he might be overdoing it. Ruka replies it’s normal for lovers to want to be together. He wants to hear her voice first thing in the morning, so that’s why he wakes her up. She’s not annoyed because she also wants to see him…but wants to sleep a little more, too. Especially since they have work. 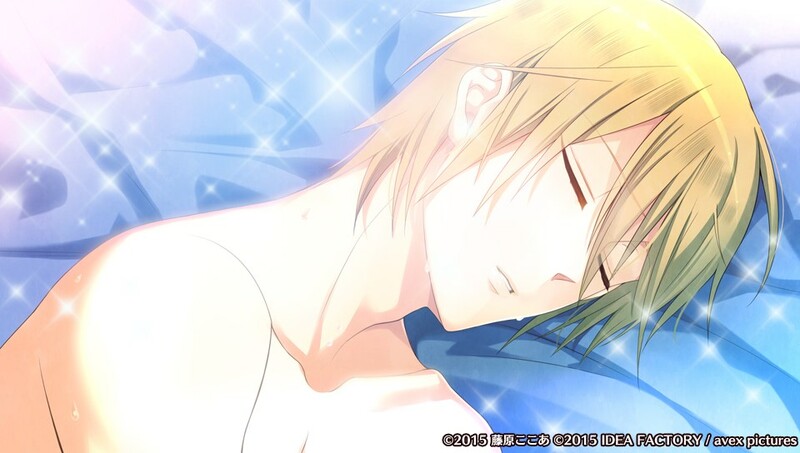 Ruka then announces he’s going to sleep in her room from now on. Aika immediately refuses, and he looks sad. He’ll wake her up a little later from now on. Aika doesn’t mind their time alone together. Ruka tries feeding Aika. He’s like, “It’s normal for lovers–“, so Aika stuffs food in his mouth to shut him up. Seiya laughs; it’s almost like they’re LOVERS. Itsuki is like, “‘Like’ is more like ‘really'”, and Aika is taken aback as he laughs. Reo thinks getting along is nice but Aika is being treated too much like a child. Ruka sparkles and replies he wants to do everything for the one he loves. Tsubasa insists Aika is his sacrifice. Ruka chuckles as he says Aika belongs to no one but her heart is his. Tsubasa gets pissed off. Before things get worse, Aika drags Ruka to work at a shoot. Ruka starts getting clingy in front of a cameraman at work, making him wonder how they act in private. Then when an Aika fan spots them holding hands, Aika has to quickly let go. When the fan asks for a handshake, Ruka grabs Aika’s hand as well. The fan senses Ruka’s affections for Aika even on TV. After she leaves, Aika talks to him about his behavior; he doesn’t act like this around the others and shouldn’t around her in public. He apologizes and will be careful. So then he doesn’t wake her up with a kiss or sit beside her at breakfast. He keeps looking at her, though. Aika feels a little lonely. Ruka is being interviewed at a radio station. He says his song is full of his feelings for a special someone. Ruka says his fans are his lovers but looks directly at Aika. Aika keeps thinking about Ruka’s behavior. Aika collapses in her room, tired. She thinks about Ruka’s looks at her, but she wants them to be more like themselves when they’re alone. Suddenly, she gets a text from Ruka inviting her to the studio. She wonders if he’s worried about something. Ruka just wanted to tell her something. But he’ll convey it in a song. While his voice is great as always, the song also warms Aika’s heart. She can feel his love. He talks about how he can only sing like this because of her, because of his love for her. She cries in happiness. He hugs her. Ruka asks if they can be more like this when they’re alone. Aika agrees. Aika whispers she wants to be like this for a little while longer. He doesn’t hear, so he nags until she repeats it. He’s touched they feel the same way. Having held back long enough, he kisses her. Aika has gone back to being a normal girl while Reo is made leader. At home, Aika decides what to do for the evening. She goes to ask Ruka for his thoughts but remembers they no longer live together. She wonders if it’s okay to call him. Ruka calls her. They both wanted to hear the other’s voice. Ruka invites her for a date the next day at the amusement park. He wants to ride the ferris wheel with her again. Aika hopes people won’t find out. Ruka reassures her he’s got a good disguise. He tells her he loves her and hangs up. At the park, Ruka arrives in a big chicken head mask. Aika is a bit surprised. A couple of adults call him a weirdo, but a kid wants a mask, too. 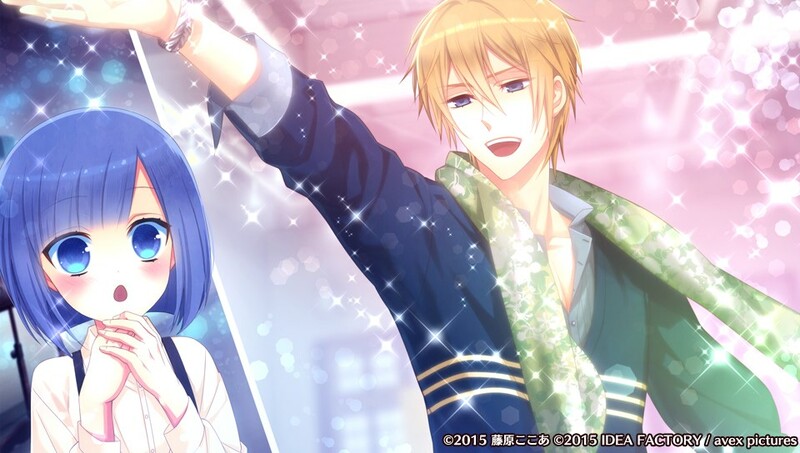 Ruka is glad he hasn’t been exposed, but Aika can see his shoujo sparkles even with the mask on. They’re going to relax and enjoy their date. They hold hands. Ruka escorts her around, and they have a fun time. At night, both talk about how much fun today was. They couldn’t go on some attractions because of the mask, but next is the ferris wheel. Before that, Aika goes to the restroom. When she comes out, Ruka doesn’t come back for a while. Where he went is a secret. In the carriage, Ruka takes off the mask. They were both just thinking the scenery is beautiful and unlike any they’ve seen before. But Ruka thinks Aika is even prettier. They both go silent. Ruka then says they’ve been going out for a month now and apologizes for not always being boyfriend-like. Although he’s busy, he still wanted to say it. He gives her a cell phone strap. He has one, too, and they form a heart when they’re together. Aika is delighted. Ruka still wants to say something else properly. He requests they go out. Aika gives him a kiss on the head as her reply. 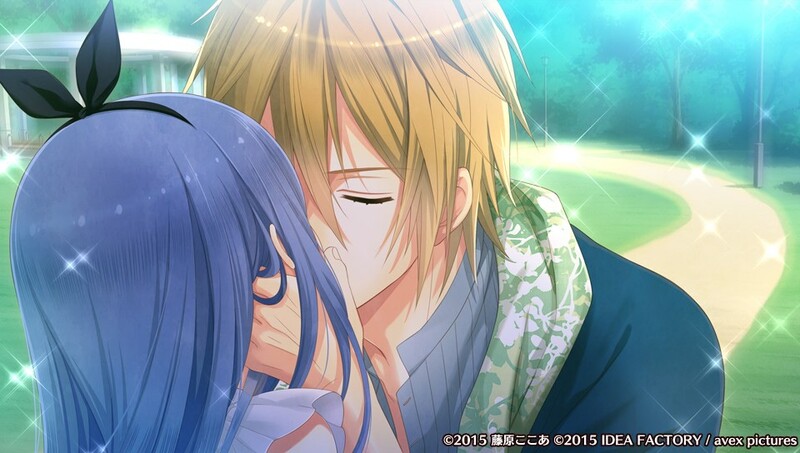 “I love you…Aika.” Then they kiss. Re;Rise has been busy. One day, Ruka texts her to come to his room that night. In girl’s clothes, Aika carefully sneaks over to Ruka’s room. He opens the door immediately, surprising her. He knew it was her. Ruka and girl Aika go to the park. He wants to sing since they’re together. Aika blushes as they dash into the park. Ruka greets his bird friends. He tells them how he found a wonderful lover and introduces Aika to them. Aika reintroduces herself since she’s not “Aika” this time, but they recognize her. The birds think they make a wonderful couple. Ruka wants to make a promise and has Aika close her eyes. It’s the kiss of their vow. Well, more like he requests they always be together. Aika proclaims Ruka shouldn’t be the only one to make a promise, so she kisses him this time. He’s a bit surprised but touched. Suddenly, he suggests they make a kingdom of birds, and she can be the princess. Aika has no idea what he’s talking about, but Ruka has to think over the details slowly. But they once again affirm to be together forever. At the live, Reo chastises Aika’s bad performance. Seiya tries to defend her but Tsubasa is also disappointed. Itsuki supports her while Ruka suggests they try again. The live then goes off much better. Aika quit being an idol and is dating Ruka. But.. There was a big article about Ruka dating a girl, Aika. The two were spotted on a picnic. Yonezawa made them break up. Although Ruka offered to quit, Aika wanted him to continue. Aika can’t help by walk by the mansion. 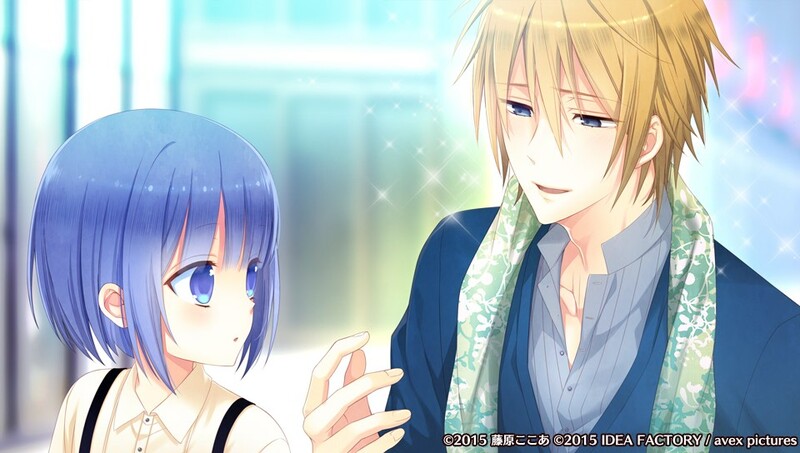 Itsuki notices her, but Ruka won’t meet her because he knows he’ll embrace her. Ruka knows both he and Aika believe they’ll meet again. 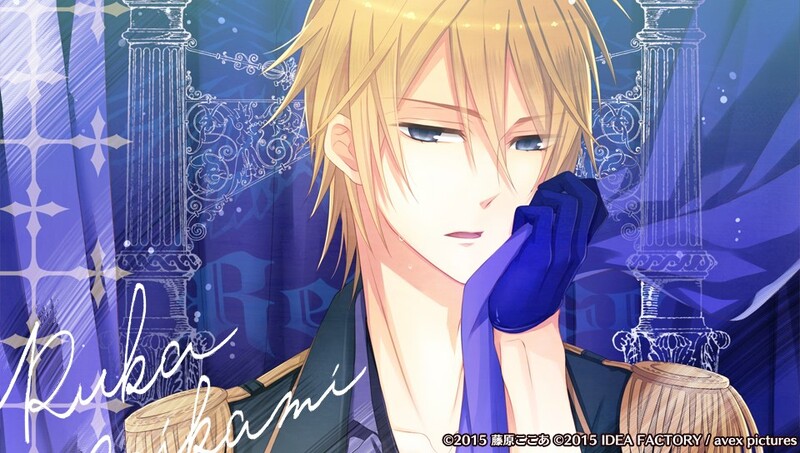 Oh, this is a VN (my bad if it isn’t). Didn’t realise VN are on the PS Vita. Thought about getting a vita, not right now though. Looks interesting, are there any other routes / branches to the game. How long is the VN?. Yep, visual novels are moving toward the Vita. Lots already available in Japanese, and a promising amount are available or coming soon in English. It’s hard for me to judge the length since I have to look up words a lot and I’m typing as I go along, but it feels like it’s on the shorter end of games I played. At least part of the reason it feels short is that there are very few choices to make. Only six routes as well, which is on the low end.